Often misunderstood, Tantrism focuses on a particular style of meditation and ritual. Having far more to do with the sacred than the sexual, Tantric Buddhism is believed to have originated around the 5th Century AD in the rich cultural basin of Bengal and spread throughout the Asian world. Today it is widely practiced in Tibet, Japan, and the West. 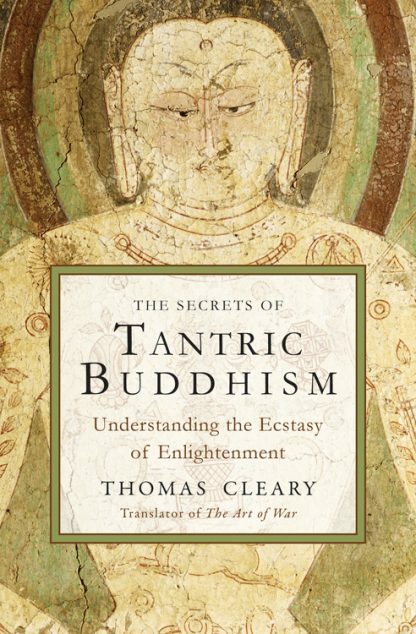 The Secrets of Tantric Buddhism presents accessible translations of 46 classic texts found in the Carya-Giti, a collection of teachings by more than twenty famous Siddhas, or Tantric adepts, who lived during the illustrious Pala dynasty of the 10th and 11th centuries. Renowned translator and scholar Thomas Cleary unlocks the mysteries of these texts and provides commentary for each that explains the ancient teachings in a way that makes them seem fresh and contemporary. These teachings emanate from one of the most dynamic sources of Buddhism, at the height of its religious development. They are completely nonsectarian and will be greeted enthusiastically by those interested in spirituality, world religions, and classic Buddhism. Thomas Cleary is an internationally known translator of spiritual classics from Chinese, Japanese, Sanskrit, Pali, and Arabic. He holds a B.A. in Far Eastern Languages from Harvard College and M.A. and Ph.D. degrees in East Asian Languages and Civilizations from Harvard University.